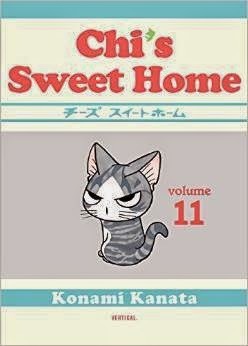 Chi learns more about both of her families, and the Yamadas learn another hard lesson about having a kitten family member, in Chi's Sweet Home Volume 11. Note: Chi's Sweet Home Volume 11 is part of a series. Check out the review of Volume 1 here, or the review of Volume 10 here. Otherwise, read on!